Today we bring forth a recipe that is so easy and so good. In fact, we predict that on your next shopping trip you’ll be scooping up what you need to make these brownies. 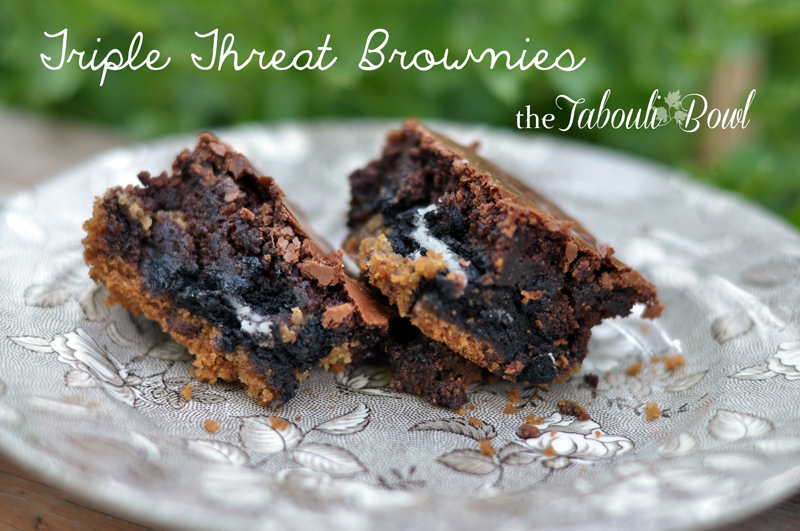 Thanks to the power of social networks and bake sales we have come to know this positively sinful delight of a brownie. So most of the time, we watch what we eat, but sometimes you gotta just live on the edge. Sometimes you need that kick of chocolate in your life. Line a 9×12″ baking dish with parchment paper, or re-usable non-stick baking liner (like we did) and press the cookie dough into the bottom of the pan. Prepare your brownie mix according to the instructions on the box. We used Great Value because it fits perfectly in this size pan, and bakes well in the recipe. 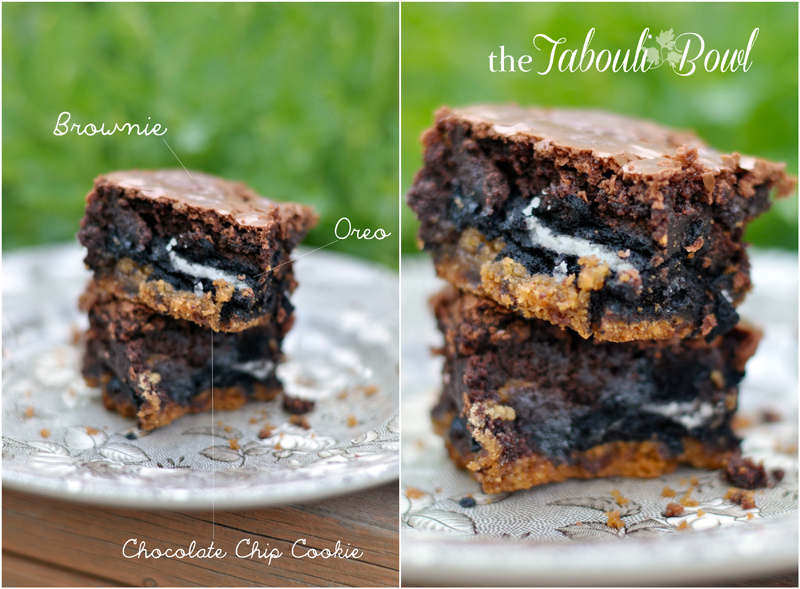 Then Pour it evenly over your cookie dough and oreo layers. Now pop in the oven to bake at 350, and set 30 minutes on the timer. Depending on your oven, this can vary by a a few minutes so just keep a watch on the oven. Once ready, the middle will still be a little moist, however this is fine. Pull out the brownies and let them cool for 2 hours or as long as you can wait!